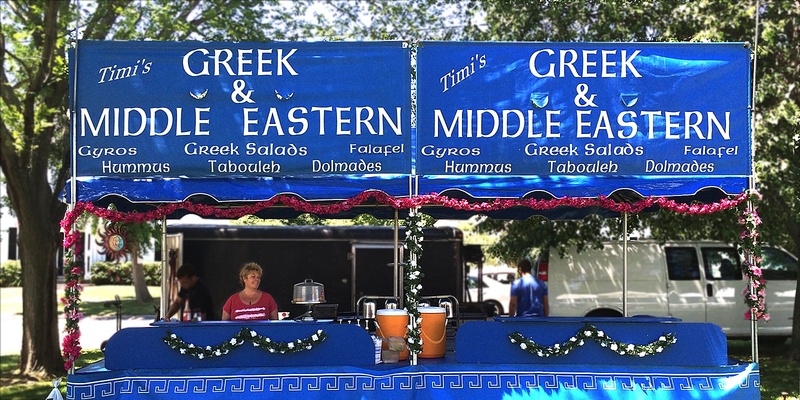 "Great Food for Good Times since 1993"
Timi‘s Greek and Middle Eastern Food booth has been a fixture at many popular music, wine, and arts and crafts festivals since 1993. 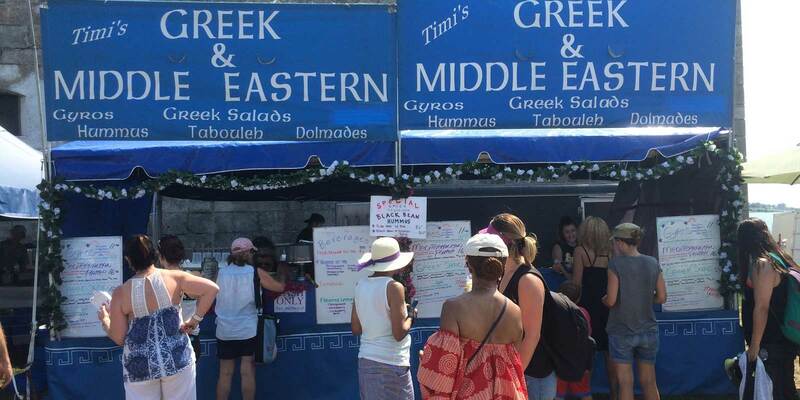 Our mission is to provide healthy and delicious meals in a festival environment. Our dishes are hand made on-site to insure freshness and quality. 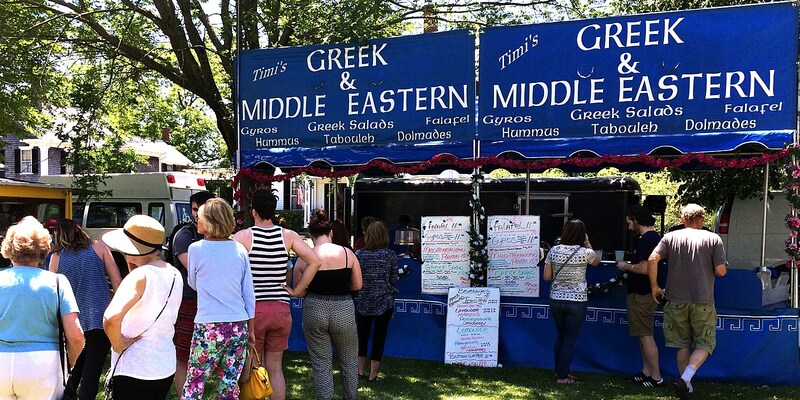 We have many authentic menu items that include tasty vegetarian, vegan and gluten free options. Our foods provide a healthy, delicious, and nutritious alternative to the usual fare. We primarily use local sources for our ingredients and feature compostable or recyclable plates, cups, and flatware. Check our list of Venues, and view our Menu items. These are the typical items we include in our menu. We can, and do change our menu to accomodate different venues. 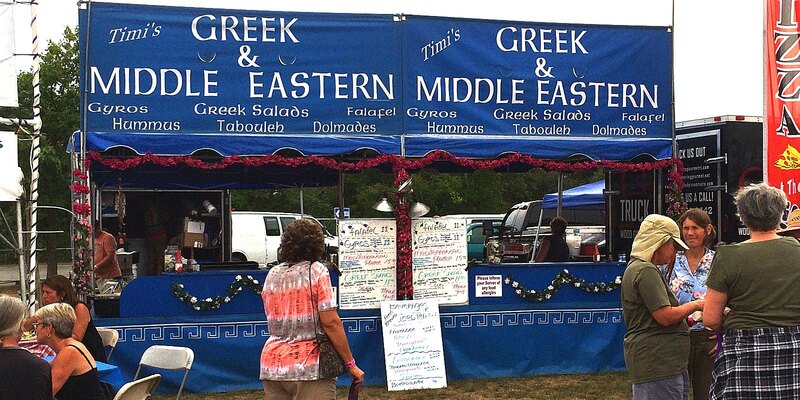 This delicious assortment of Middle Eastern delicacies is handmade on site for the freshest of flavors. 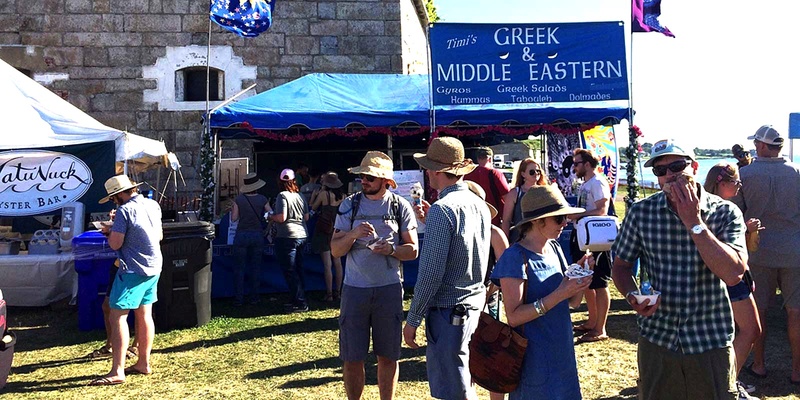 The bold tastes of Garlic Hummus and spicy Falafel are complimented by the cool and refreshing flavors of vegetarian Stuffed Grape Leaves, our superb Tabouleh and the tang of Tzatziki Saltsa. All of this topped with pita slices, Olives, and pepperonicinis for an appetizer plate to share or a filling meal for one. An exotic mixture of Beef , Lamb, Herbs and Spices served on warm pita bread with diced Tomato, Onion, and Lettuce, topped off by a generous dollop of Tzatziki Saltsa. Plump, juicy chunks of Marinated Chicken breast replace the traditional beef and lamb in this delicious sandwich. This garden in a pita has the addition of Feta Cheese and pepperonicnis to round out this meatless delight. We took an old family recipe and kicked it up a notch. Made from scratch, using numerous spices and herbs, Our chick-pea croquettes have a full bodied and complex flavor that is so good it's almost sinful. 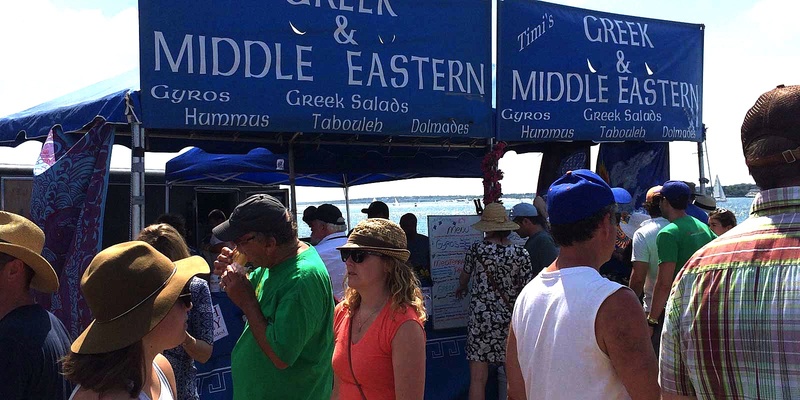 Needless to say this Middle Eastern staple is one our most popular dishes. Fresh ripe slices of tomato, Onion, and cucumbers on a bed of crisp mixed Greens topped with tangy Greek dressing, Feta , imported Kalamata Olives, and Pepperoncinis. 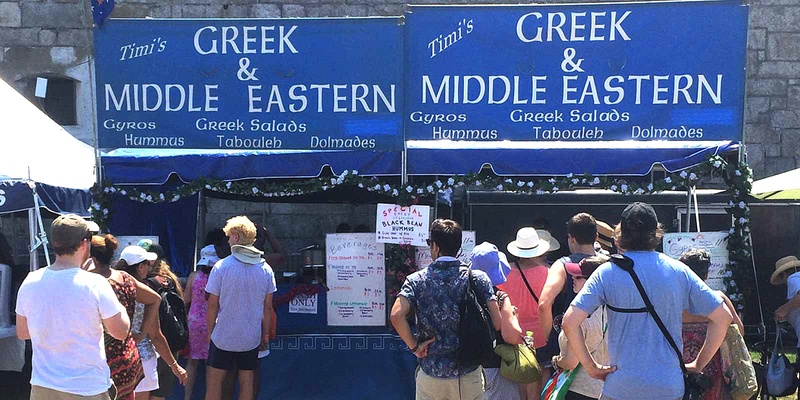 Accompanied by fresh, hot Pita bread. 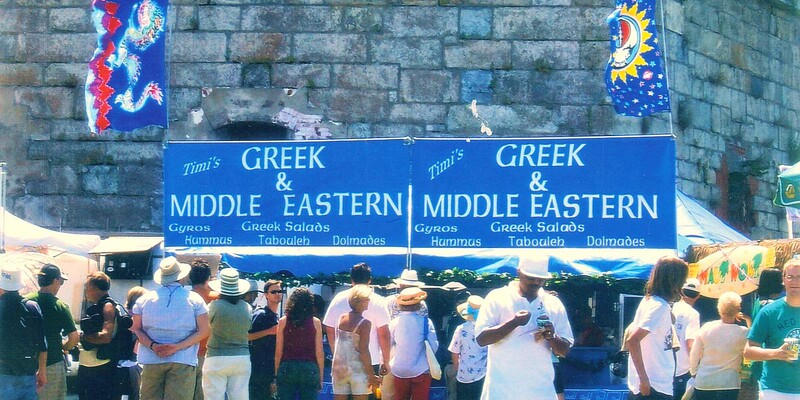 Imported tender grape leaves are stuffed with rice, onions, parsely, dill, fresh mint and spices. Served with a lemon wedge. Not hungry enough for a sandwich ? Falafel patties, cucumber and tangy Tzatziki sauce make a wonderful snack. Legend has it that a great Lord fainted in delight when served this dessert. Other legends says he fainted at the cost of the ingredients. Paper thin Fillo pastry leaves individually buttered and layered with a rich walnut cinnamon filling, then smothered in pure Alfalfa honey syrup with a twist of Lemon. © 2019 Timi's Foods. All Rights Reserved.